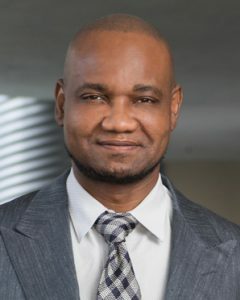 Dr. Sanusi Umar, a fellow of The American Academy of Dermatology and a diplomat of the American Board of Dermatology, is a pioneer in the world of FUE hair restoration. As a published professional featured in some of the most highly-reputable medical journals in the industry, Dr. Umar has revolutionized FUE for patients of color with his numerous patented inventions. His contributions include the Dr.UGraft ™ family of FUE tools, noted for their unprecedented versatility when it comes to the extraction of Afro-textured hair and hair from donor areas aside from the scalp. Dr. U’s tireless innovation has made FUE hair transplant surgery possible for patients who, in the past, would have been denied treatment. His work on patients with especially challenging skin and hair types, as well as procedures performed on severely scarred and depleted individuals, is backed up by years of experience practicing his craft. He has orchestrated two very well-received seminars similar to our upcoming mini course in March, one of which was sponsored by the ISHRS itself. He would like to take this opportunity to continue in the same vein and share what he has learned with his peers and colleagues in the field this Spring.